It’s back-to-school next week for schools here in Victoria so I thought these Vegemite Muffins might be something for their lunchboxes. I’d probably leave the green capsicum out as not all kids like the green stuff, but the vegemite and cheese combination should win them over. 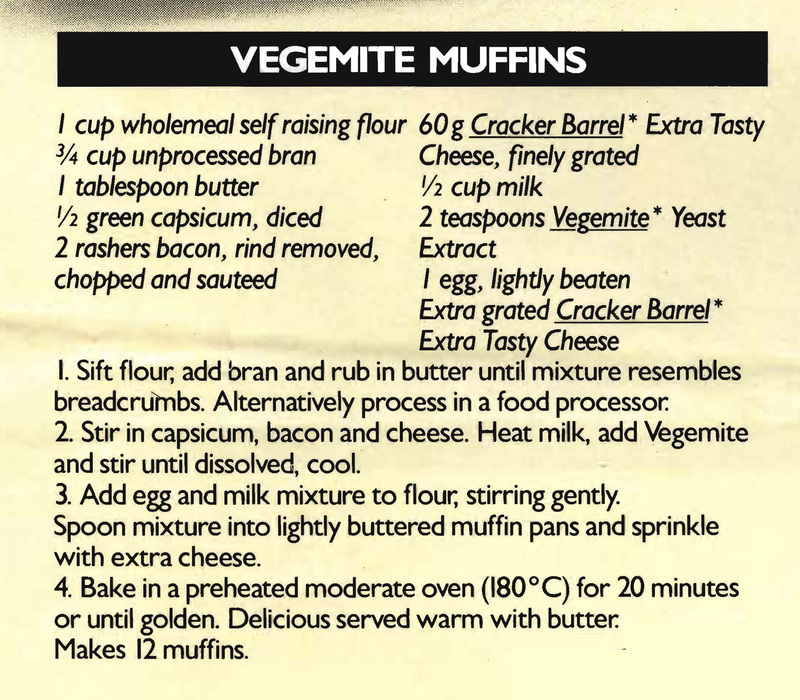 This entry was posted in All Recipes, Savoury Quiches/Pies/Patties and tagged 1990s, cheese, vegemite, vegemite muffins, wholemeal flour by bebsrecipes. Bookmark the permalink.